Alejandro Miyar arrived at Miami Law with a very presidential resume. 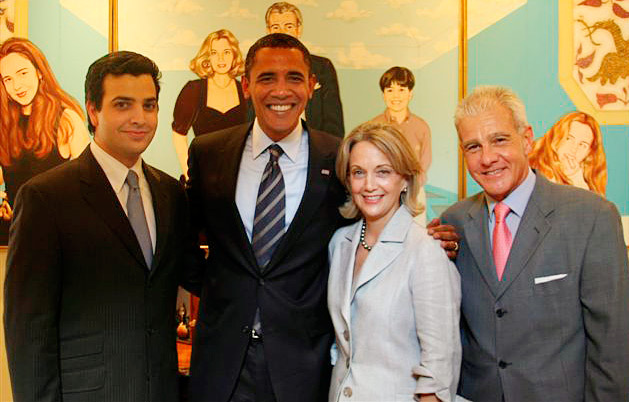 Born in Mexico City and raised in Miami by first-generation Cuban Americans, Miyar became vice president of the student body at Ransom Everglades School. He developed a talent for acting and earned a philosophy degree at Haverford College in Pennsylvania before returning home to be press secretary for the mayor of Miami, the fourth largest urban area in the United States. Three years later, Miyar – who is bilingual in English and Spanish – was press secretary for the Florida Democratic Party going into the 2008 campaign cycle, days before Florida was stripped of its delegates by the national party for pushing up its primary date. At 26, he joined Illinois Senator Barack Obama's presidential campaign in South Florida as spokesman in the country's largest Hispanic media market and its largest swing state. Obama won the key battleground and set a Florida record for a Democrat's performance among Hispanic voters. 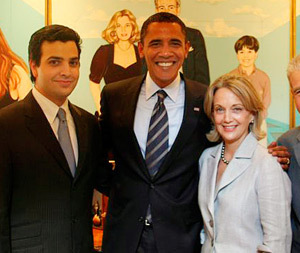 "Once you've worked on a presidential campaign and won, you want to join the administration," said Miyar, who was chosen by President Obama to serve as spokesman for the Civil Rights Division of the Department of Justice. "To be appointed to work there by the president will remain one of the greatest honors of my life." Two years later, Miyar decided to take a break from his meteoric rise in politics and go to law school. He applied to several schools and settled on Miami Law as the best fit for him, heading home barely a month before the fall term in 2010 was to begin. He then set his sights on breezing through law school. At the same time, he helped a friend with his political campaign. But the academic demands were rigorous, and by Thanksgiving of his first semester he realized that his studies required undivided attention. "I would be lying if I said that I didn't come to UM Law with that professional experience and a little bit of pride and a little bit of cockiness, and, to be honest, was soon greatly humbled," Miyar said. His second semester, he made the Dean's List and ran the table – with a 3.875 GPA – on a first-year course load that included U.S. Constitutional Law, Contracts and Constitutional Criminal Procedure. "I was resilient," Miyar said. "I put in the time and learned from excellent instruction. I began to understand what the professors were seeking, and how it was very different from my first career." Mindful of his experience, Miyar has mentored first-year students to help them succeed through the rigors of law school. Now, at 32, he is poised to graduate with honors, including book awards in professional responsibility, election law, and class action litigation. Miami Law has also awarded him Dean's Merit and Public Interest scholarships. "In Election Law, he thought about the issues in depth, and his work was outstanding," said Professor Martha R. Mahoney, who noted that Miyar received the CALI award and shared the Dean's Certificate of Achievement for that class. "I look forward to watching him continue to rise in the legal and political world." Miyar has been clerking at Podhurst Orseck, P.A, in Miami since his first summer of law school. He has succeeded in balancing his studies with the demands of one of the nation's foremost boutique litigation firms. His focus as a soon-to-be lawyer is on litigation and trial advocacy, thanks to Miami Law's renowned Litigation Skills Program and his extracurricular activities. He led Miami Law's national HNBA Moot Court team in 2012, and distinguished himself as an oralist in the C. Clyde Atkins Advanced Moot Court Competition that same semester. Miyar's knack for oral advocacy can be traced to the age of 12, when he won a Miami-area magnet-school speech contest that explored United States foreign and immigration policy toward Haiti and Cuba. "Coming home to Miami Law was the best decision I've ever made," Miyar said. "I've learned from excellent scholars and practitioners in my home town, close to my family and the community that I love. Graduation fulfills a dream, but it's just the beginning."